Watch LIVE from 6.45 PM. Don’t Miss it. ave you missed our recent Videos?? India Post has released a notification to recruit 1058 Gramin Dak Sevak posts for its Telangana Postal Circle. Eligible candidates can apply online through the India Post official website before April 9, 2018. The Gramin Dak Sevaks (GDS) is being recruited by the Government of India across India for all States Postal Circles. Punjab Public Service Commission (PPSC) Patiala invites Online application forms from MBBS Doctors for recruitment of Medical Officer (General) for filling up 306 Vacancies in the Health and Family Welfare Department, Punjab. Eligible and interested candidates may apply online before 13th March 2018. Want to become a State / Central Govt employee? Enrol our Bank / SSC / Railway ALP / State PSC Course NOW. Our Tanjore Branch has planned to conduct “At-Least 20/20” event on March 16th, 2018 to help and motivate the candidates who appearing for SBI Clerk 9SBI Junior Associate) Examination. The special event will teach different approaches to maximize in SBI Clerk Examination score. The IN or OUT examination for the month of March has been conducted recently. Top 3 students secured high score listed here. 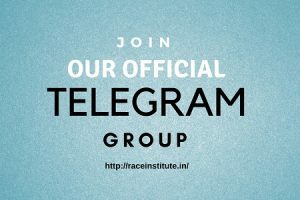 Join Chennai RACE Institute & CRACK BANK / SSC EXAM NOW..! !